Hobbies: Cycling, Weight Lifting, Triathlons, Swimming, Running and Cooking. I wrote this book to save people's lives who have been surreptitiously poisoned like me and to prevent some from doing it. 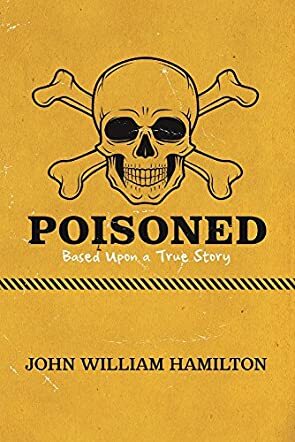 Poisoned by John William Hamilton details situations in the author’s life when three malicious people tried to poison him on three different occasions. The sheer audacity and effort of the culprits in the occurrences left me utterly aghast. In one case, Hamilton was poisoned with a lethal mix of chemicals ranging from copper, uranium and barium. The author shares how in many instances he was so frustrated as to consider suicide. There seemed to be no help from the doctors as most tests showed that everything was normal. It is only when specific tests were taken that the underlying issues were addressed. In Poisoned, John William Hamilton describes many ways how anyone suffering from poisoning can find relief through different self-medicating techniques. Still, he cautions the reader that he is not a health practitioner himself and the medication should only be taken after consultation with a physician. Over and above the book making for a good read, Poisoned will open the mind of any reader to the methods that are mainly used in poisoning and the products that can be considered in curing victims. The rarity of the topic covered was compelling and the incidents in the book are horrifying yet enlightening. The first attempt on John William Hamilton’s life left me appalled. There is never a good reason for murder; still, the killer’s motives in this instance were extremely petty. As I read the book, I also got the notion that many people are ignorant about poisoning and, in some instances, so are even clinicians themselves. Probably it is an area that requires further research. Reading Poisoned left me informed and I recommend this book to other readers interested in the subject.